On the northern reaches of Bude, away from the bucket and spade brigades, beachside cafés and gangs of wannabe surfers, awaits a wilder, more desolate coastline; its crags and coves stretching to where Cornwall meets Devon. At the start of this territory lies Duckpool, a rugged little beach where the Atlantic swell pounds smooth, wave-hewn rocks. There are no trappings except for an ice cream van on the sunniest days, and if you strike out along the coast path you may only pass a few hardy walkers between here and the Hawker’s Hut perched on the cliffs at Morwenstow. East Thorne, a 10-minute drive inland, is nothing like this wild coastline. But, after a day immersed in raw and desolate scenery, it can be comforting to return to modern conveniences and the company of fellow campers. For camping here is not about surviving in the wilderness or playing boy scouts. In this neat little community of nine yurts, where glamping, not camping, is the buzz-word, you can sip wine on the decking and watch children run around on the car-free green. If you remembered to leave a message on your chalkboard a fresh basket of wood will be ready to throw on the wood-burner, and you can even order a gourmet hamper ready for tea-time. 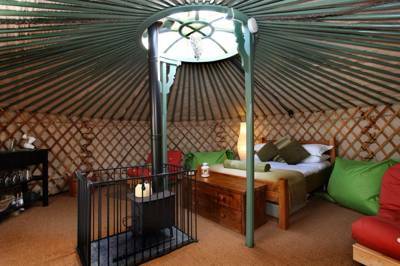 Each of the yurts comes pre-furnished with everything you could possibly need for your stay. Don't worry about bedding, pots, pans, lamps and cool-boxes. Instead, you can fill the car to breaking point with buckets and spades and spend your days building castle villages on the nearby beaches. Up to six people can be accommodated inside each Mongolian-style structure, with wooden double beds, sofas and soft furnishings. On the deck outside there is also a separate kitchen cabin with gas hobs and a BBQ. For those who want to go the extra mile, an eleventh structure has more robust wooden walls and an altogether more cottage-like feel. 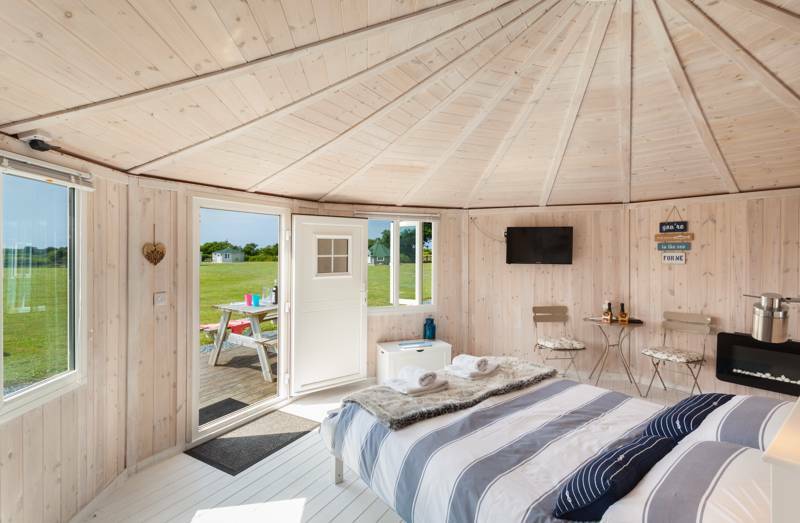 The Roundhouse, added in 2017, is still designed with nods to the traditional yurt structure – a central, 'crown' window in the ceiling, a wood-burning stove and, of course, the circular layout – but expect the very highest levels of luxury. Wooden floors extend from your king-sized bed, armchair and coffee machine, right through to plush en-suite bathroom, while, a few steps away outside, there's a hip kitchen cabin and your very own private hot tub. 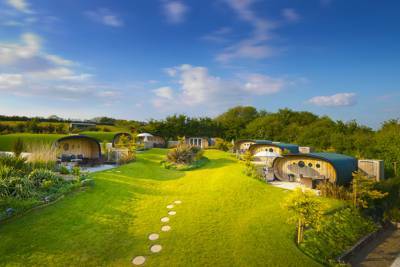 In all, the resulting site is a family-orientated yurt haven in a quiet slice of Cornwall, with a serious dose of luxury to boot. 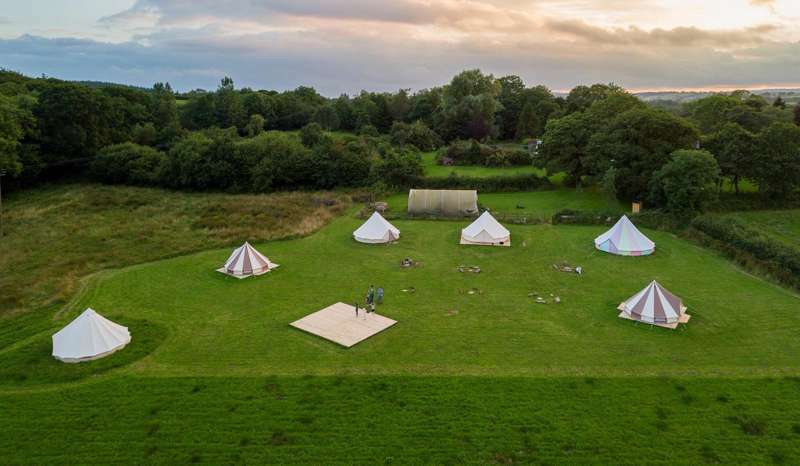 There's enough space in the meadows that every yurt has its own distinct, private spot, while covered dining areas and grassy space for ball games still allows for a sociable atmosphere. 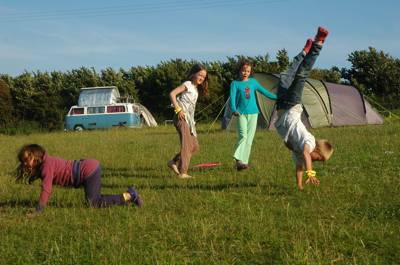 Children leave with grass stains on their knees and the smell of campfire smoke in their jumpers. You wouldn't want it any other way. Experience the great outdoors without forgoing life's finer things! 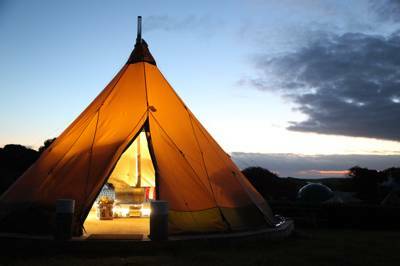 You can now come clamping in beautful Cornwall in both comfort and style, staying in one of our seasonal luxury yurts: handmade beds, log burning stoves, individual undercover alfresco kitchens, stylish bathroom area and roaring campfires or try our beautiful new en-suite Roundhouse with hot tub. East Thorne isn’t just a place to stay, it’s an experience. 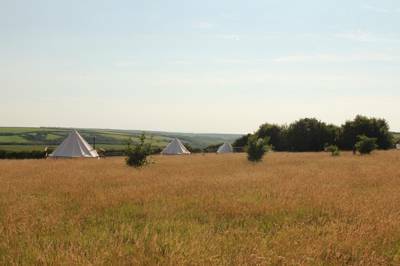 Our yurt retreat in Cornwall offers comfortable and convenient accommodation and facilities, beautiful surroundings, and (last but not least!) plenty to keep the kids happy like the adventure playground,games room, our array of farm animals and plenty of green space to run and explore. 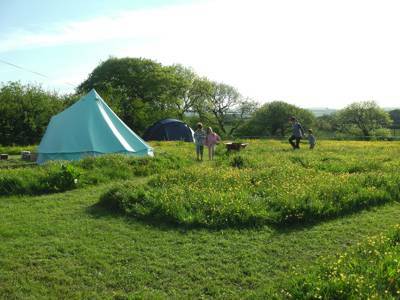 At the heart of East Thorne are our 9 luxury yurts in Cornwall. Sustainably sourced from Mongolia,with a modern British twist. Our yurts are wooden framed with felt lining, covered with a waterproof canvas suitable for the British climate. So at East Thorne we may not be able to guarantee the weather (although Cornwall does get. Our uber-glamping en suite Roundhouse with hot tub offers an exclusive experience for couples to enjoy all year round! So many of our guest tell us about how great it feels to sleep in the round space that our yurts offer so we stepped it up creating a get away in our most stylish accommodation. 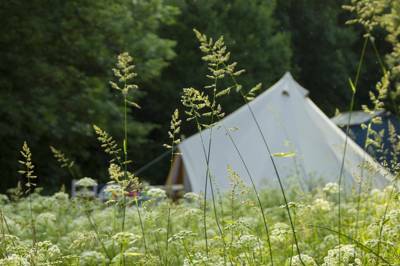 For latest availability and best prices for East Thorne Glamping, please use the Date Search above. 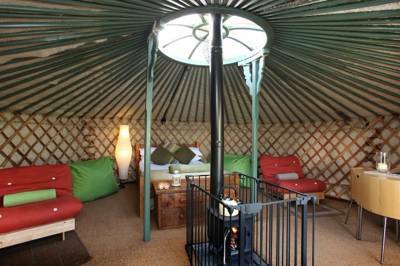 9 fully furnished yurts (sleeping up to 6 each) and an über luxurious roundhouse (sleeps 2). 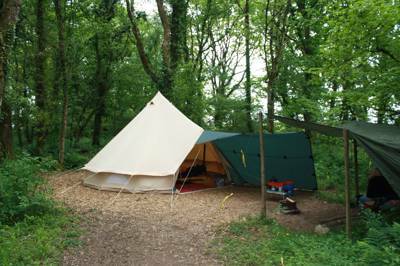 Yurts are kitted out with handmade furniture, double beds, futons, electricity, decking and an outdoor kitchen (fridge, BBQ and gas stove). The roundhouse has a king-sized bed, hardwood floors, an armchair, wood-burning stove, coffee machine, dining table and chairs and an en-suite bathroom, plus, outside, a kitchen cabin with fridge, sink, gas stove, BBQ and outdoor furniture and a private hot tub. 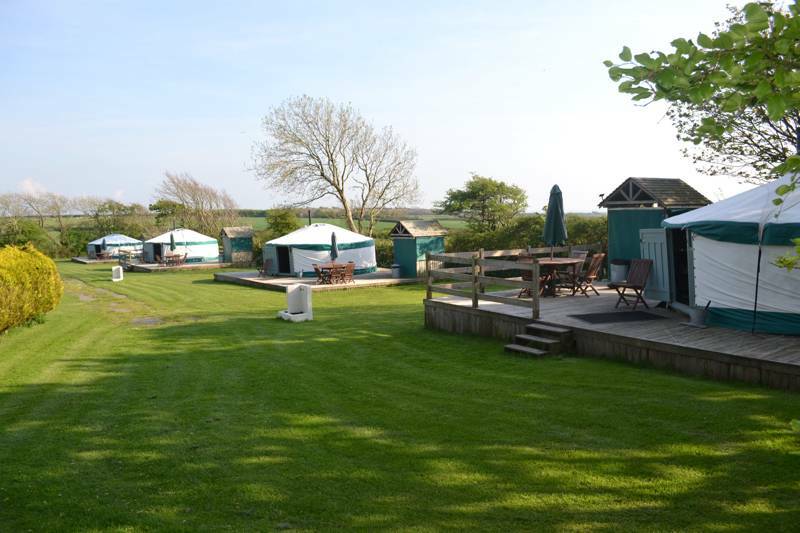 Excellent shared facilities for the yurts, with showers, loos (2M, 2F), hairdryers, plug sockets, washing up area and a games room with pool table and board games. Pizza oven for use. Internet and WiFi available. Sheep and chickens on-site. Campfires are allowed in the firepits provided. 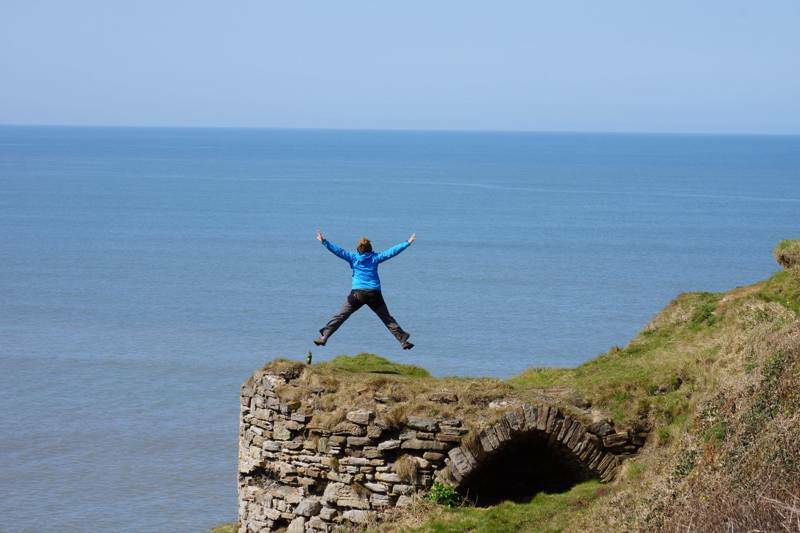 East Thorne can organise all sorts of activities from coasteering and kayaking to high ropes. Try surfing at Sandymouth Beach (07870 472448), about 10-minutes’ drive away, or take on one of the toughest sections of the South West Coast Path between Bude and Hartland Quay. Bude’s stunning Summerleaze, Crooklets and Widemouth beaches are popular for trying your hand at further surfing or simply building sand castles with the kids. A string of cool waterfront cafés and amusement arcades will also keep you busy once you tire of the beach. From £220 for mid-week breaks to £660 per week peak season. From the A39 take the B3254 towards Holsworthy and East Thorne is after the first sharp bend on the right. From Exeter take a bus to Bude and there’s a stop on the A39, just a 5-minute walk from the site.